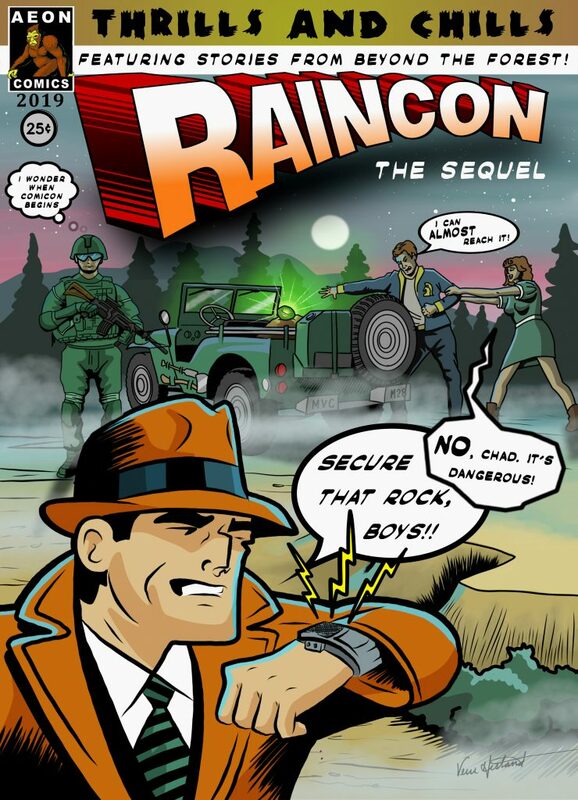 The Raincon 2019 t-shirt image revealed! Also vendors and sponsors! – RAINCON! Click here to see it in all it’s amazing glory! We are all looking forward to this con so much, if you or anyone else is interested in becoming a sponsor or a vendor at this year’s event let me know by hitting the “email us” tab on the menu! The fee for vendors is $25 for the whole weekend, please don’t wait until the last minute as tables are running out quickly!